Wow, what an interesting week in the grain and oilseed markets. After a rapid month-long collapse, corn and soybean prices posted significant reversals. December corn closed unchanged for the week and November soybeans were up 14 cents. December wheat also jumped 12 cents for the week. These positive moves in the markets followed a major political move. In the wee morning hours of Friday, July 6, the U.S. implemented a 25% levy on $34 billion of Chinese goods entering the U.S. China retaliated with duties on U.S. shipments, which included soybeans. Yet, the grain and oilseed markets showed strength. Could the lows be in? 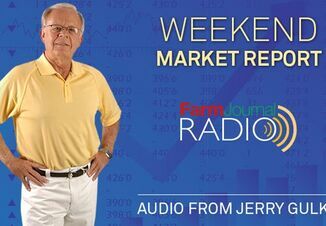 July 4 is typically a line in the sand for the grain markets, as yield predictions for corn and soybeans become a bit clearer. Gulke has talked to agronomists in three different locations across the country. The consensus is the corn crop has matured so quickly that it could lose some crop filling days towards the end of the growing season. “In other words, the growing season that we had the last two years that filled out the corn to give it that extra boost in the end may not be there this year,” he says. In areas of northern Iowa, northern Illinois and southern Minnesota, where it has rained, rained and rained, some corn didn’t get the second blast of nitrogen. Additionally, a lot of soybeans have not been sprayed, he says. As for future price movements, Gulke says, there is hope for a retracement. When markets freefall like corn and soybean prices have done, there's an old rule that says 40% of the time you get 60% of the price back; 50% of the time you get 50% of the price back; and 75% of the time you get 25% of the price back. On Thursday, July 12, USDA will release its monthly Crop Production and World Agricultural Supply and Demand Estimates reports. 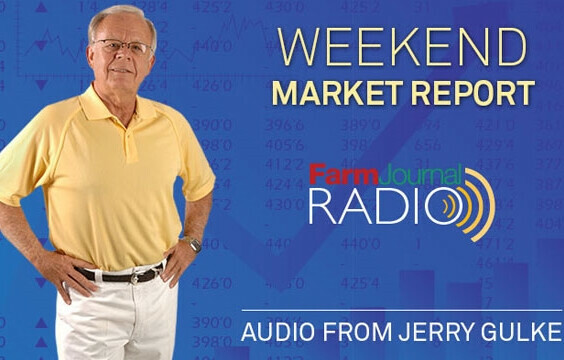 Gulke will provide pre-report analysis in his “Rest of the Story” column next week, as well commentary on the latest political moves and how they affect grain markets.